Suprema RealScan-G10 is an optical USB 2.0 fingerprint scanner that allows to perform fast capture of all 10 fingerprints. The 10 fingerprints are captured as 4 finger slaps and 2 thumbs. Single flat (plain) fingerprints may be also captured with the scanner. RealScan-G10 – captures flat and rolled fingerprints. RealScan-G10F – captures only flat fingerprints. The scanner is certified by the FBI for civil ID and AFIS applications and compliant to IDENT, US-VISIT and DHS requirements. 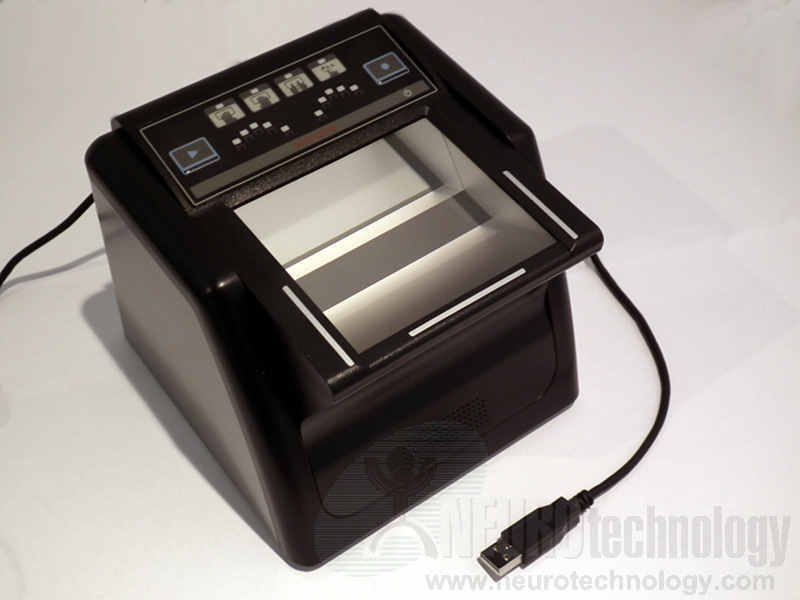 Buy RealScan-G10 at Biometric Supply – a subsidiary of Neurotechnology.